EUR/USD ranged tightly for most of the week and only showed volatility around news releases. 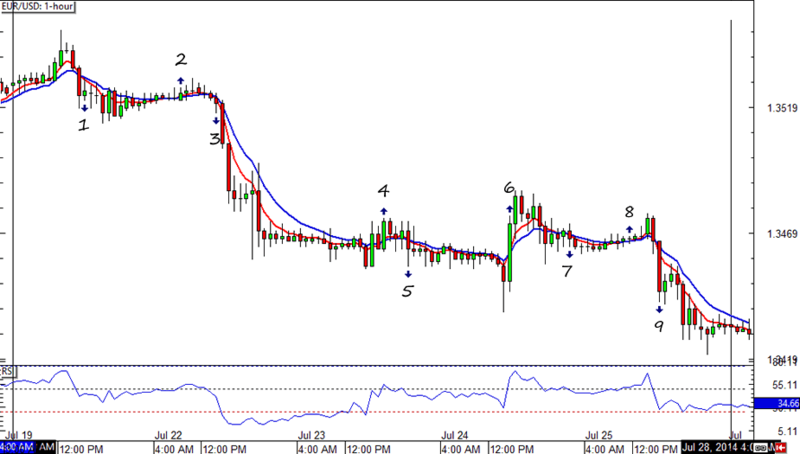 Signal #3 would have given a lot of pips had it not been invalidated by the RSI filter. 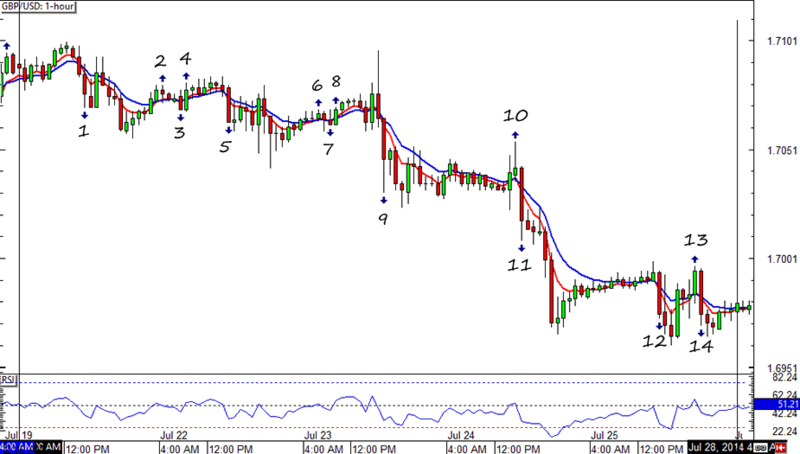 Signal #9 brought pips to the table though, and limited the system’s weekly losses to just 7 pips. Phew! Unlike in EUR/USD, we saw a downtrend from GBP/USD. The move wasn’t smooth though, so there were still tons of fakeouts instead of trending signals. Signal #11 canceled out some of the unfiltered fakeouts with a 43-pip gain and helped end the week with only a 3-pip loss for the HLHB System. Hopefully we see better results next week!